Kale is this fantastic green leafy veggie that’s a part of cruciferous family, just like cabbage. It is cousins with collard greens, turnip greens, mustard greens and others. 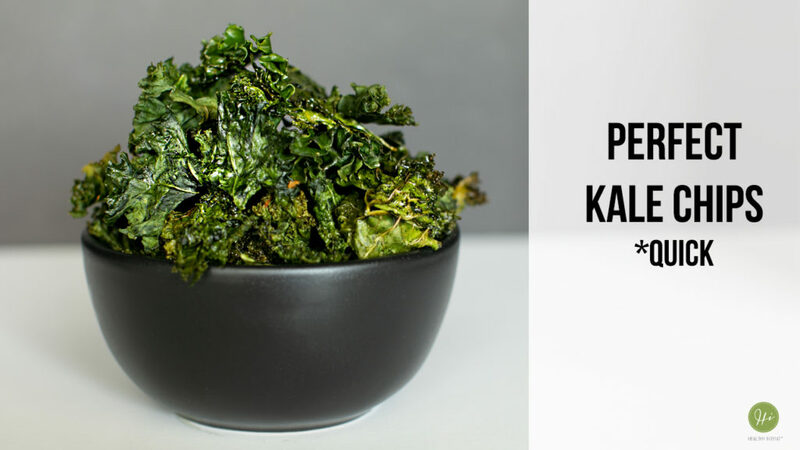 Kale has almost 3 times as much calcium than phosphorus, and being a member of the cruciferous family, has similar anti-cancer properties as its relatives. If you have thyroid issues, it’s not recommended to eat kale, or other cruciferous vegetables in large amounts in their raw form. Cooking helps deactivate the goitrogenic compounds. 4. DRIZZLE SOME EVOO — DO NOT SATURATE, OR THEY WILL TURN OUT GREASY. SEASONING TO TASTE. TOSS WELL. KALE IN A SINGLE LAYER. 7. BAKE 12-15 MINUTES. KEEP WATCHING — OVEN TEMPERATURES VARY. TO MAINTAIN CRISPNESS, STORE IN A PAPER BAG.